Our Sunday Visitor’s website, at osv.com, is the quickest way for a buyer to get your book. With the purchase of our new press, we can print your book in-house so we have stock. But the best part for you as the author, your royalty is bigger when a customer purchases from Our Sunday Visitor. The link is https://osv.com/. We know that linking your website to Amazon to self-promote your book is a great way to boost sales. What you may not be aware of is that if you participate in Amazon’s affiliate program, a portion of the sale goes back to you. I have provides a link below that includes information on this program. https://affiliate-program.amazon.com/welcome. I would also recommend linking your site to Barnes & Noble as well. Their link is http://www.barnesandnoble.com/. Adding this link can help drive more in-store placement of your book. In addition, Barnes & Noble has their own affiliate program. For more information on their program, go to BNAffiliate@bn.com. If you have questions or comments for Jill, please email her at jadamson@osv.com , or call 800.348.2440, ext. 2547. 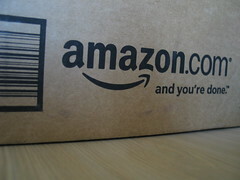 Have you heard about Amazon Charts? They are weekly best seller lists that rank books by what readers are actually reading — not just what they’ve bought. There is also a most-sold component that incorporates sales of its Kindle e-books and audio, as well as print books. What does this mean for the book industry? Read more from The Guardian here and from USAToday here. Setting up your Amazon author page in three easy steps. You already know that setting up your Amazon author page is a great way to help readers find you and learn about your books. The information they find on the author page will help motivate more sales, and help build your platform. But how do you do it? Here’s the easy 1 – 2- 3! Join up! Go to Author Central and click “Join Now.” If you already have a personal Amazon account you can sign in just like you’re signing into Amazon to shop. If you don’t have an existing Amazon account select “No, I am a new customer” and follow the prompts.